Happy September Monday to y’all! Hopefully things are starting to cool down for you, but if you’re living anywhere in the USA, I highly doubt it. It’s been super hot here in Brooklyn and I have it on good authority that it’s still pretty hot in SoCal and Texas too. Not that heat = Tiki cause y’all know how I luv to Tiki The Snow Away, but nevertheless, I need a tall-icy-fruity-Rum-filled….wait, what? Bwahahaha! It’s not Rum, it’s Tequila! Today’s drink came about cause I really wanted to make a Tequila Tiki drink and I thought the Swizzle would be a good format. I was thinking Corralejo Reposado Tequila but then I was also thinking it’s pepper season and I remembered that this Tequila is really snappy when infused with Jalapeño (or Serrano, Serrano is super tasty too). Go here for the Jalapeño infused Corralejo Reposado recipe. I apparently couldn’t live without some version of Rum, so I added my new fave ingredient, Kalani Coconut Rum Liqueur. This stuff is maaaaad tasty: grassy (like a mild agricole), has some notes of chocolate, caramel, and citrus in addition to the obvious Coconut. Kalani is made with 100% Natural Mayan Coconut Rum, has a silky viscosity, a good level of sweetness, and (just like my bottle of Tequila) is from Mexico. Grapefruit and Tequila are best friends. Lime juice for more tartness and length. Honey cause I knew it would be a match made in heaven. Peychaud’s Bitters for anise and some interesting depth. Grab either yer swizzle stick or a long barspoon for this one. Oh and like spanish speakers do, pronounce the J’s in this drink “ha-ha-ha”, then it basically sounds like you’re laughing and will make you feel pumped to try this drink! Add ingredients to large Tiki mug, add cracked or crushed ice and swizzle til the glass has started to frost and everything seems to have combined. Add a lil more ice on top if needed and garnish. *Depends on how sweet you want it. I tried it both ways and was honestly not sure which one I liked better. Salud and may your Tequila Tiki experiments be awesome! Whuuuuut up y’all? Is everyone hot enough yet? Have you melted into a puddle and you’re just like, “gurrrrrl, give me a cold-fruity-summery cocktail?” Cause I for sure am! Well, it’s Watermelon season and National Tequila Day is next Sunday, so I thought I’d put some Corralejo Reposado Tequila with some Sandia and BOOM! This drink is like, purrrrrfect. 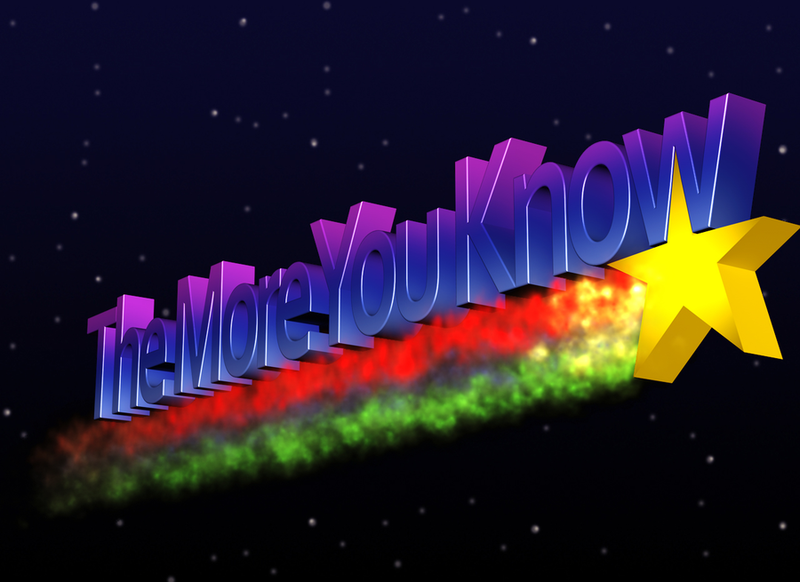 Have you ever been to a Mexican or Cali-Mex restaurant and been like, “What is Sandia? It sounds so nice and looks so red and inviting!” It’s Watermelon juice or in this case, Watermelon puree and it’s mad delicious in cocktails. Cut a Watermelon into sections. Scoop the red flesh out and discard the seeds. Throw that tasty stuff into a blender and blend til it’s nice n fabulous. 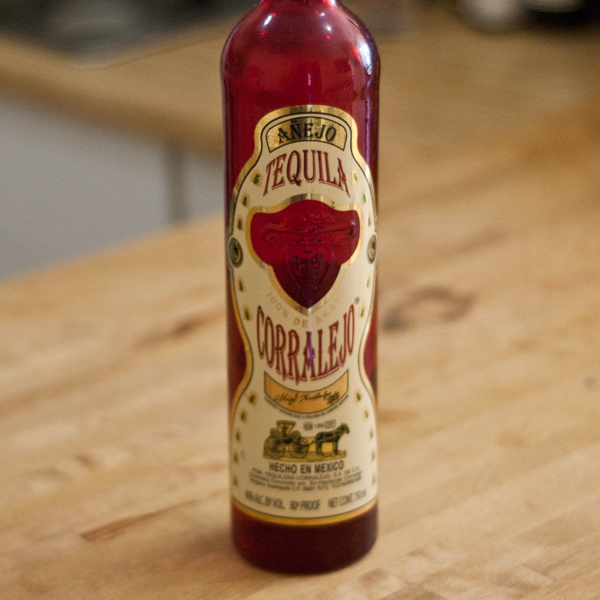 Have I mentioned that Corralejo Reposado has been one of my fave tequilas for over a decade? 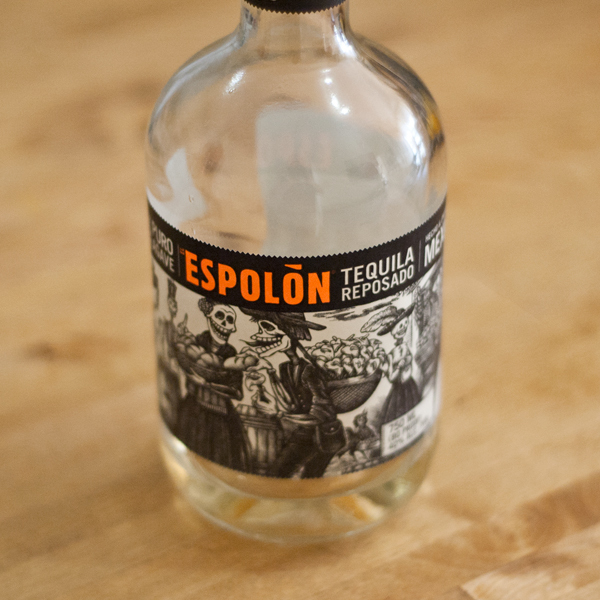 It’s really Agave forward with a great balance of sandalwood, vanilla, fruitiness, and peppery spices. Yummm, y’all. Yum. So I made this drink a few times and felt like I wanted a little heat to make the Sandia pop. Fortunately, Corralejo Reposado makes a hella good Jalapeño infusion. Cut a Jalapeño in half, keep the seeds. Drop it (seeds and all) into 500 ml of Corralejo Reposado and infuse in a cool, dry, dark place. Let it infuse for 30-45 mins. I tend to go 45 cause I like the heat! OPTIONAL BUT RECOMMENDED: remove seeds and put the Jalapeño back into the infusion for another hour. This way you get more fresh bell pepper type flavor in the Tequila. To the Jalapeño infused Corralejo Repo and Sandia we add a bit of Cane Sugar Syrup, Lime Juice and a pinch of pink salt. I always like to put my salt directly in the drink because I think it brings out the vegetal and savory flavors from whatever Tequila I’m using. Also…salt rims are a pain and get all over your face when you try to drink the cocktail. Blah! Combine ingredients over cracked or crushed ice and short shake. 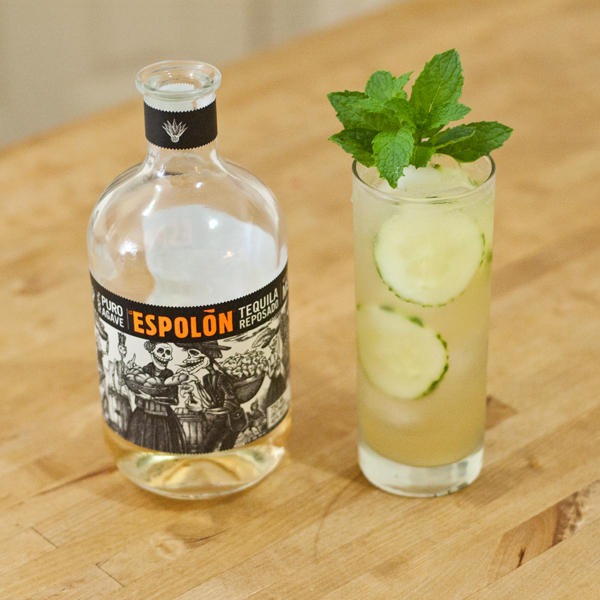 Dump entire contents into double Rocks glass and garnish with Pepino. *Depends on how spicy you want it! Salud! May these hot times be quenched with loads of Tequila and Sandia! Mooooving and grooooving right along with Tiki The Snow Away in these frigid times. Today’s drink uses Blood Orange (seasonally topical!) and Corralejo Tequila Blanco for a super refreshing winter Tiki drink! Blood Orange: so beautiful, so much tastier than regular Orange! Don’t even deny it, it’s totally true. Here are your cast of characters: Corralejo Tequila Blanco, El Señorio Mezcal Joven, Ancho Reyes Liqueur, Pineapple Juice, and the aforementioned Blood Orange. Combine ingredients over ice and short shake. Double strain into collins glass or tall Tiki mug with ice, and garnish. *if your Blood Oranges are not sweet enough, you may need to add 1/4 oz Simple Syrup. Taste and see! Salud to you and all your Tiki friends! 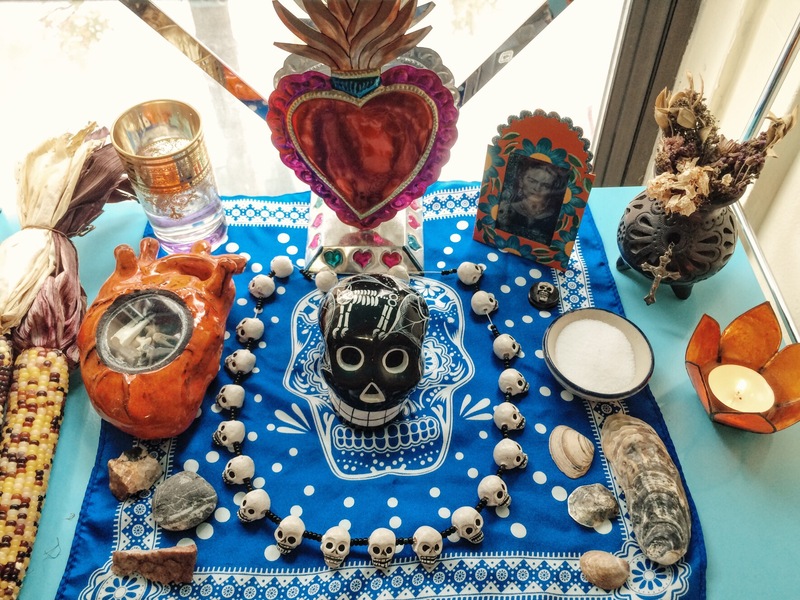 For those of you who celebrate, Feliz Día de los Muertos! For those of you who have lost someone, Recuerde los Muertos! For all of us, Viva la Vida! It’s National Tequila Day! Does everyone have their snifters/rocks glasses/reading glasses ready? Shortly after I started this blog back in Sept 2014, I wrote a post for a cocktail called Volver along with a Tequila Challenge. 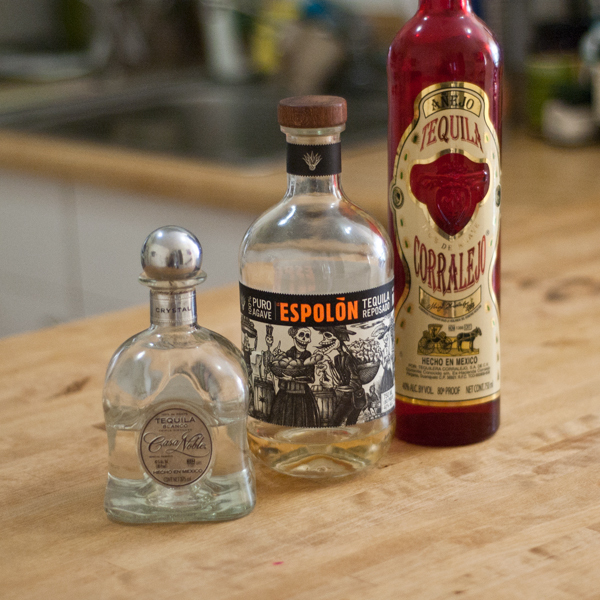 The challenge was, “Sip your Tequila instead of taking shots” and an encouragement that “Tequila can be used in so many more recipes than a standard Margarita.” The goal of that post was to open the eyes of the American public to the fact that drinking Tequila does not equal blackout drunk, but that it is a beautiful, complex, and earthy spirit. It is full of life. Today, I’m not going to make any drinks, I’m just going to smell, sip, and talk about Tequila. All Tequila begins as Blanco because that is what comes right out of the still. The aging process for Tequila actually begins with the Blue Weber Tequiliana Agave plant itself. These plants are usually grown for anywhere between 7-12 years before being harvested by los jimadores. These agave farmers pull the plants from the earth and strip the beautiful blue leaves from the piña, or heart of the Agave. The piñas are baked for several days, mashed, washed, smashed, and juiced producing a liquid to be fermented. After fermentation is complete, all 100% Blue Agave Tequila is distilled at least twice to remove impurities and bring the spirit up to proof. So that’s Blanco. No aging in wood, no additional flavours. Literally the purest expression of Agave possible. It’s magnificent. I am absolutely Team Blanco. I fully believe in Blanco and I fully love to sip Blanco. 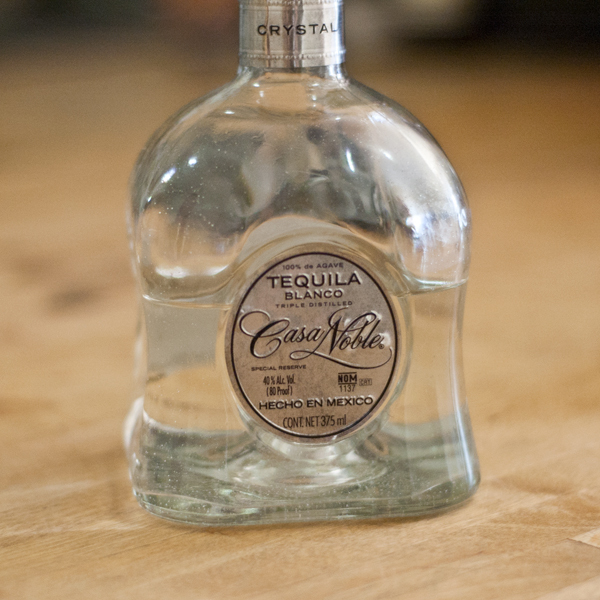 Pictured above is Casa Noble Crystal Blanco Tequila. It has most definitely become one of my favourite Blancos, because Casa Noble is all about passion, heart and terroir. Terroir is a French word wine enthusiasts use to mean “the characteristic taste and flavor imparted to a wine from the environment in which it is produced.” Essentially, terroir conveys that you, the person drinking the wine should be able to smell and taste what the actual land tastes, smells, feels like. It’s a powerful concept and it absolutely applies to Tequila. Whatever Blanco becomes your go-to Blanco, be sure you can sip it and be sure you can taste terroir. Reposado means “rested” en Español and that is precisely what Reposado Tequila is. Once Blanco Tequila leaves the still, it is rested in (usually American but sometimes French) new or ex-bourbon white Oak casks for 2-11 months, imparting some woody, vanilla, and carmel flavors but not much. There isn’t a lot to say about Reposado because it’s not a contentious expression of Agave. Repo is juuuuust right. Now here’s the contention! Here’s where people are getting fired up. Oh Añejo Tequila, what on earth happened to you? Who stole your soul? Who took your Agave away? Recently in the Tequila industry people have begun to take sides about Añejo Tequila. There is even a book called How the Gringos Stole Tequila which details the impact that America’s recent thirst for Tequila has had on the industry. And one of the greatest impacts has been on Añejo Tequila. Añejo means “old” en Español and is usually aged in American (but sometimes French) white Oak ex-whiskey casks for 1-3 years. I want to emphasize those last two parts again, ex-whiskey casks for 1-3 years. It could also be aged in ex-sherry casks, ex-Rum casks, etc. Now, this itself is not inherently evil, I mean really, we can’t get too moral or riled up about the aging process of a spirit. Where we can get a bit upset is when the spirit no longer tastes like itself. With the American market getting soooooo much more interested in Añejo Tequilas have come a whole bunch of products that no longer taste like Agave. They taste like the casks they were aged in: Bourbon, Cognac, Sherry, Rum but somehow not Tequila. Yes, I did say that Tequila should be sipped and these Añejos are totally delicious and definitely made for sipping. Yet, perhaps they should be in a different category, a category not called Tequila. However, this is not the case with Corralejo Añejo which totally still tastes like Agave and totally still feels like Mexican Tequila that Mexicans made out in the fields of Guanajuato, Mexico. There are plenty of Añejos full of terroir and have been mellowed out by a few years in oak. Personally, I like those the best. Why bring all of this up on National Tequila Day? Because we need to know what we’re drinking when we drink Tequila. This has been Home Bar Girl encouraging you to think about and sip your Tequila on National Tequila Day. Heyyyyy, y’all! Hope everyone is having a really fabulous start to their summer! I am! I have been drinking a lot of long drinks and low proof cocktails lately cause it’s just too hot for a heavy stirred drink. Or even a heavy shaken drink, or really anything that isn’t light and airy. Well, this Cocktail came about when I wanted to mix a combination of a Southside Rickey and East Side Cocktail together. In other words, I wanted Cucumber and Mint at the same time but I wanted it in a Collins glass with ice and Soda Water. But then it hit me (like it usually does), “Gurrrrrrrl, this would be supreme if you used Tequila instead of Gin!” Hot damn! Crushing hard on this Mint bouquet. Always keep in mind that Tequila & Cucumber are best friends, so there was literally no way this wasn’t going to be the bomb diggity. The name of the drink sort of came to me in a flash as well. “Gurrrrrrl, it’s a Rickey but it’s Tequila, so like, it should be called Rickey Ricardo!” My, my, this internal monologue is getting out of control! 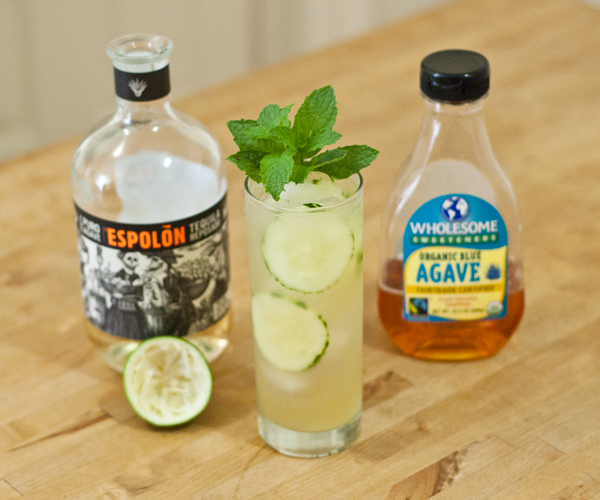 Combine Lime Juice, Agave, Cucumber Wheels, Salt and muddle. Add Tequila, ice and short shake. 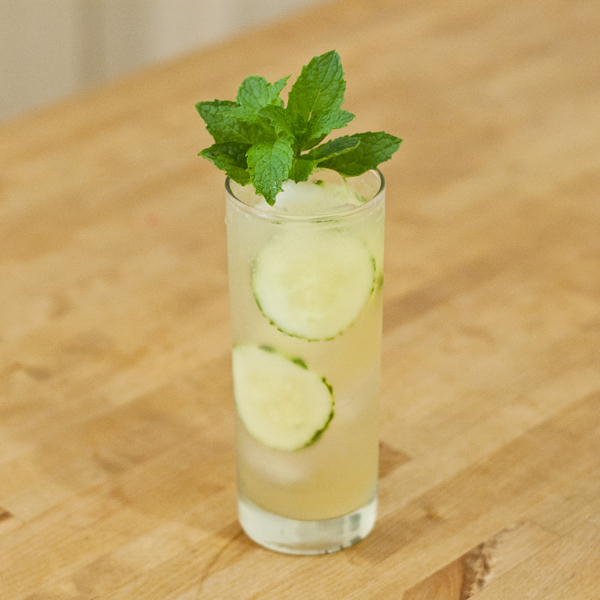 Double strain into Collins glass over ice, garnish with scored Cucumber wheels, spank the Mint and garnish. Top with Soda Water. 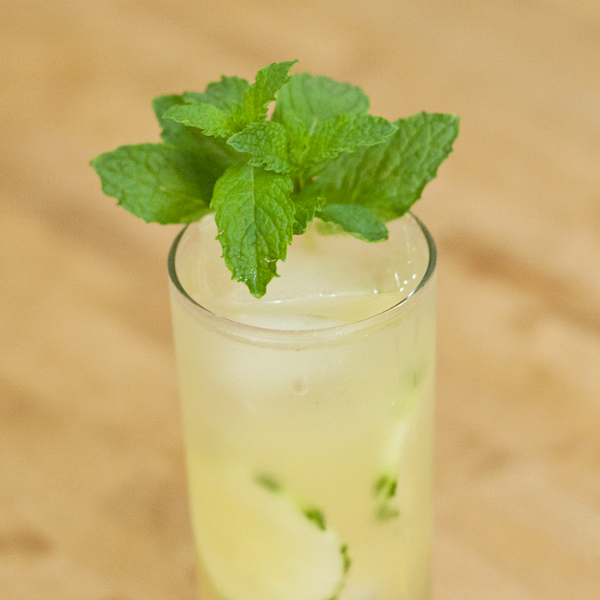 Bonus: if you want to muddle some Mint into the drink, it just becomes that much more fabulous! I’d recommend 1 or 2 leaves for muddling. You want the Tequila/Cuke/Salt flavour to remain at the front, so easy on the mint.